Would you be interested in better health, more relaxation, better circulation, greater flexibility, higher levels of peace of mind, an improved feeling of well-being, better ability to deal with stress, and a feeling of being totally revitalized? Yes? Then you are a candidate for a Thai Massage. You might get some of those benefits or all of them, but you will certainly benefit greatly. 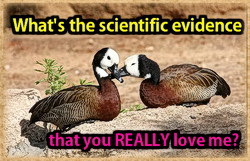 What’s the evidence, you might ask? Let’s go back to the roots of Thai Massage which are found in the yoga tradition of India. Thai Massage is often called Thai yoga massage because of the similarity of the two systems. About two and a half thousand years ago an Indian physician brought Thai Massage to Thailand, or Siam as it was called then. Since then it has been used as one of the main healing modalities along with herbal medicine. There has been a huge amount of research done on the benefits of yoga (the parent of Thai Massage). If you google “benefits of yoga” you will get many thousands of hits. The doubting Thomases can of course insist on scientific double blind studies, FDA approval, AMA endorsements, etc. However there is something to be said about a tradition that has not only survived for thousands of years, but is thriving and expanding all over the world. Did anyone ever prove ‘love’ in the laboratory? Countless thousands of yoga practitioners can attest to real benefits in body and mind, and some even have miracle stories to tell. Those who claim that the benefits of yoga are not proven are making the silly statement that many millions of yoga practitioners over many thousands of years have somehow all fallen for a scam. You might as well argue that love is not a real emotion because it cannot be duplicated in a test tube in a laboratory. There are many healing traditions all over the world which cannot be explained by scientific means. The problem with scientific investigation is that it will always be limited by the perception of the minds of the scientists. 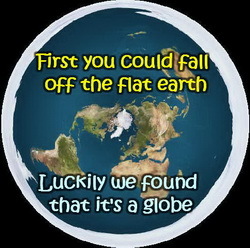 Hundreds of years ago it was commonly accepted that the earth was flat – today we know better. A little over a hundred years ago it was scientifically accepted that the smallest particle was an atom. Today with the advent of quantum physics we know better. Not too long ago it was a scientific impossibility to fly in the air – now we do it every day. Medical miracles cannot be scientifically documented, but they are happening all the time, and most physicians have seen them in their practice. Of course they don’t call them ‘miracles’, but ‘spontaneous remissions’. In the East, yoga is seen more as a science than in the West, and many yogis in India have produced amazing results through their practice. Yoga, healing techniques, herbal medicine, shamanic healing, and bodywork have been used for thousands of years effectively all over the world. And no, they did not work in every case and they cannot guarantee a cure. But neither can medical science – modern medicine works very well in some areas and fails miserably in others. Thai Massage is sometimes called “lazy man’s yoga”, because it is essentially applied yoga. It uses stretches which are often identical to yoga positions, and it works on energy lines which have been used in many Asian healing traditions as the basis for treatment. Skillful and experienced Thai Massage practitioners can effect significant changes in the health of their clients. In Thailand, the tradition of Thai Massage is preserved in one of the most important temples of the country, and the Thai government is regulating, protecting and preserving this ancient art. Tens of thousands of westerners come to Thailand every year to study Thai Massage. Many come year after year to improve their skills. The proof is not in the test tube, but in the pudding, as the saying goes. Taste it, experience it, and see for yourself. Thai Massage provides many benefits without any negative side effects. And if you happen to be in Thailand, you can get those benefits for about US $5.- to $10.- per hour. The author, Shama Kern, has been living in Thailand for well over a decade. He is the founder and director of Thai Healing Massage Academy, and the creator of 20 Thai Massage online training courses.